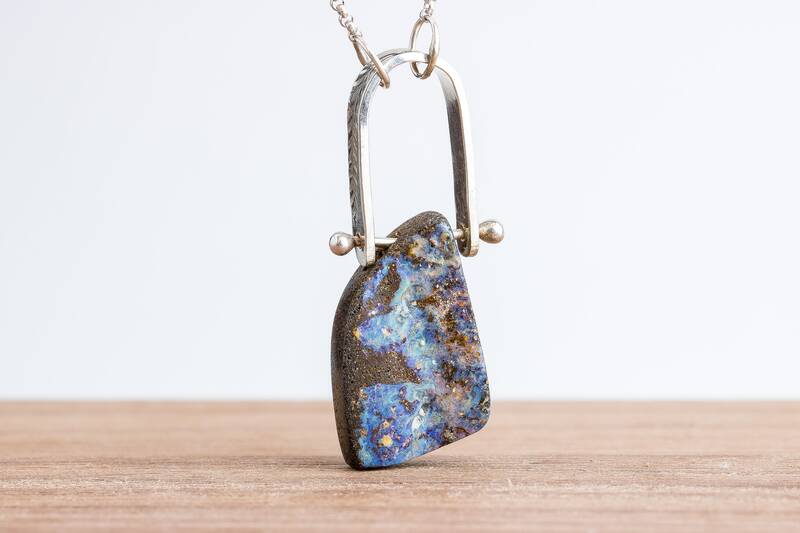 I created this necklace from a gorgeous Boulder Opal gemstone. 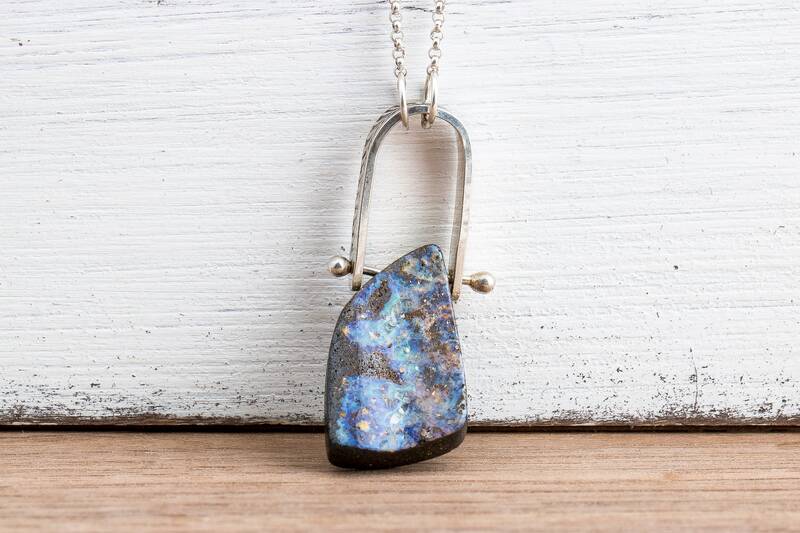 Beautiful, natural, and raw. 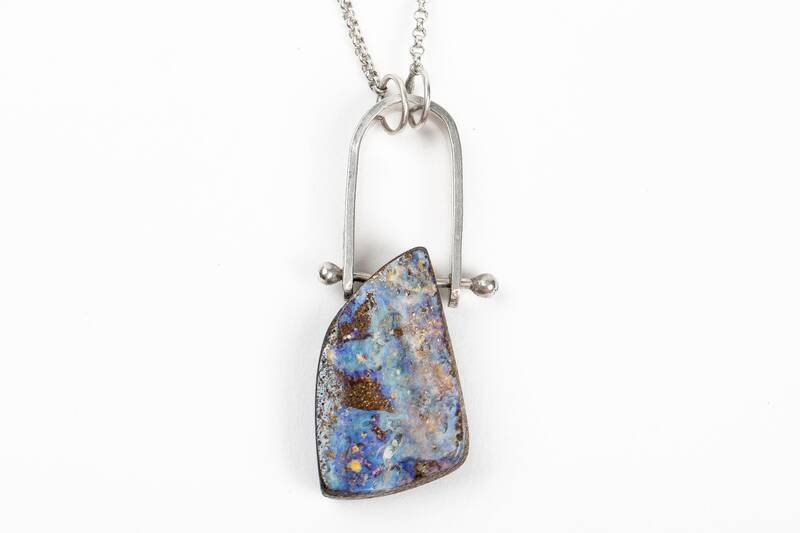 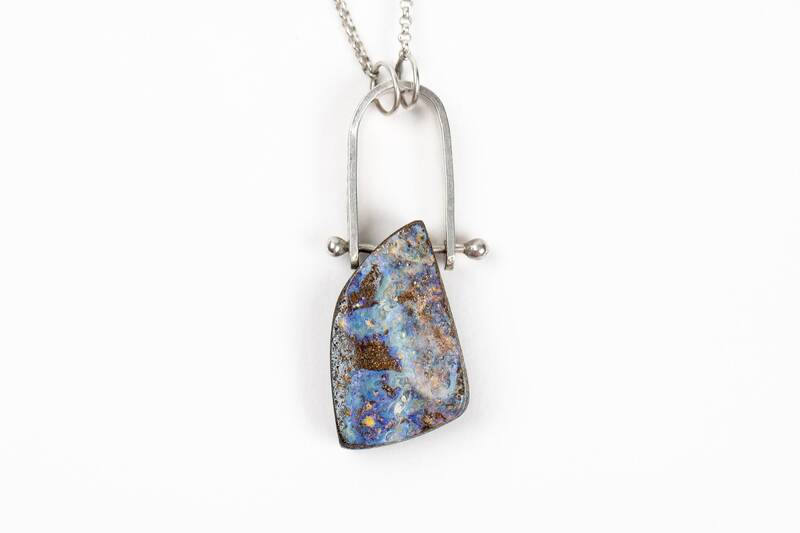 The colorful Boulder Opal is set within a carefully crafted 'pinned' or 'hinge' setting. 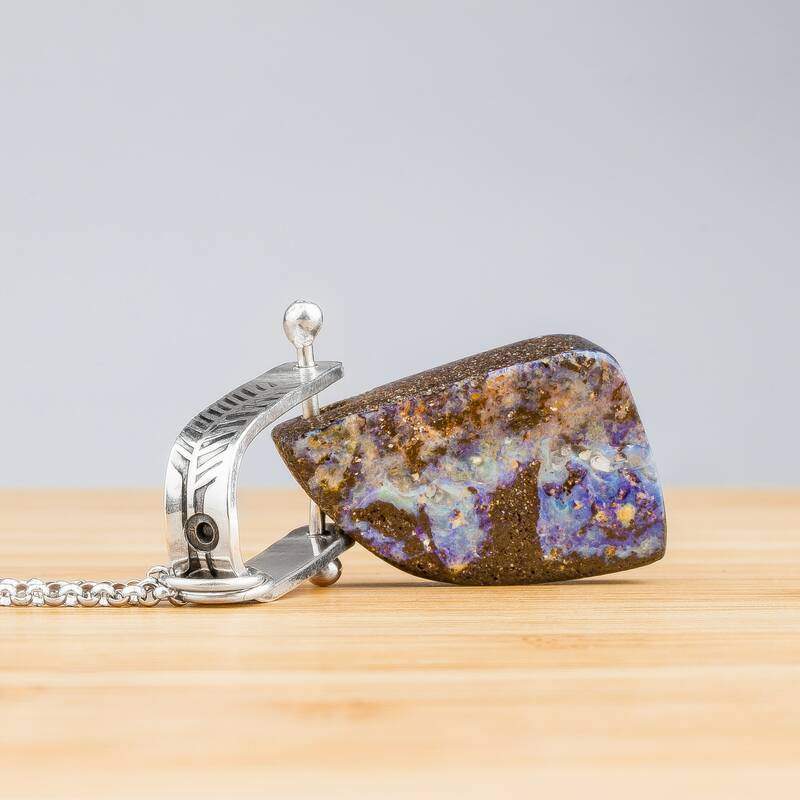 - Boulder Opal measures about 16mm x 39mm. 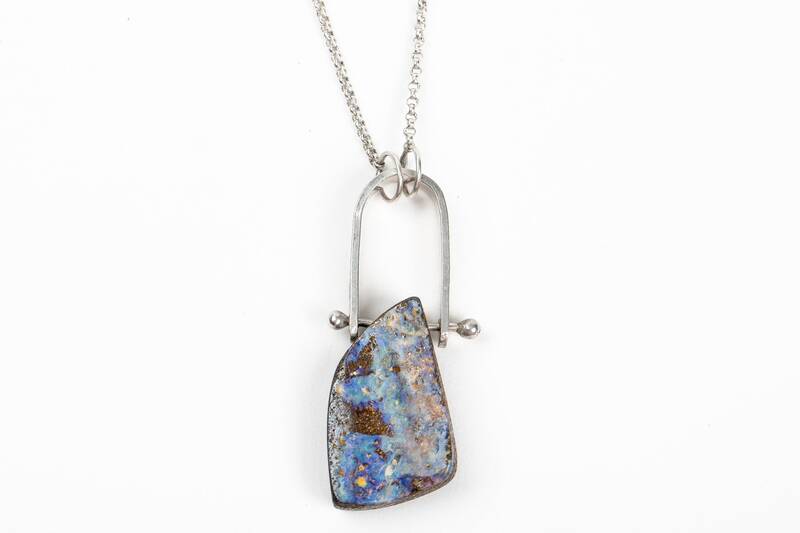 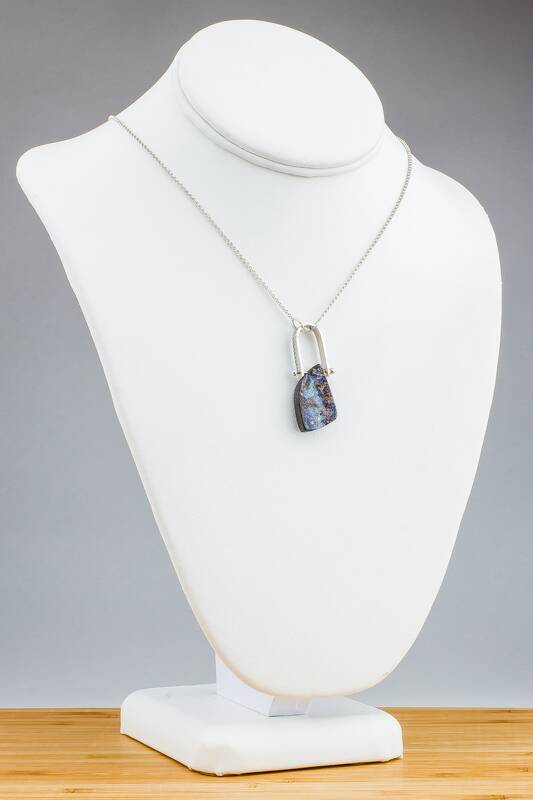 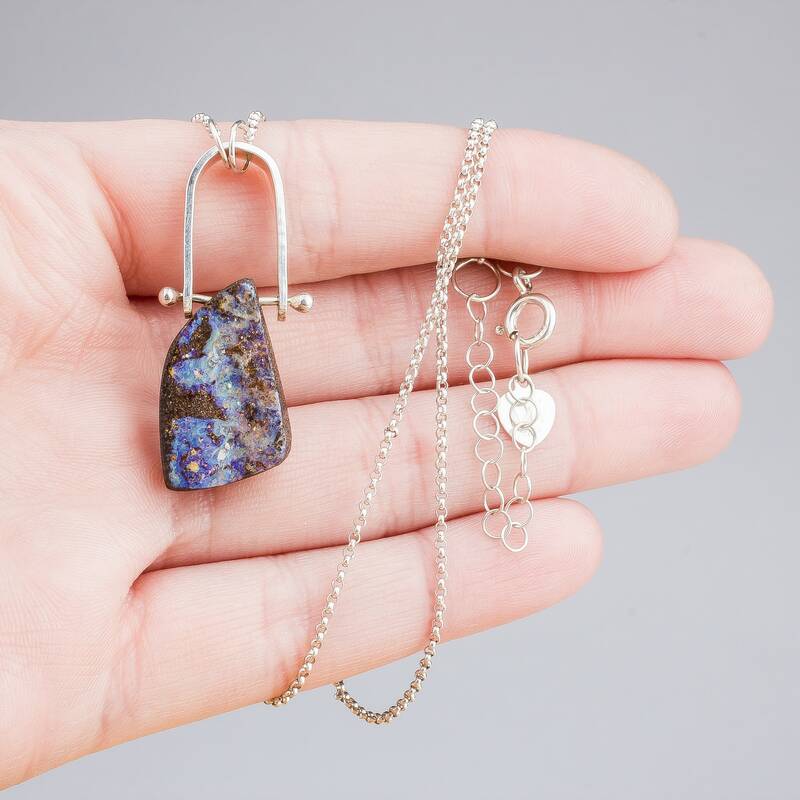 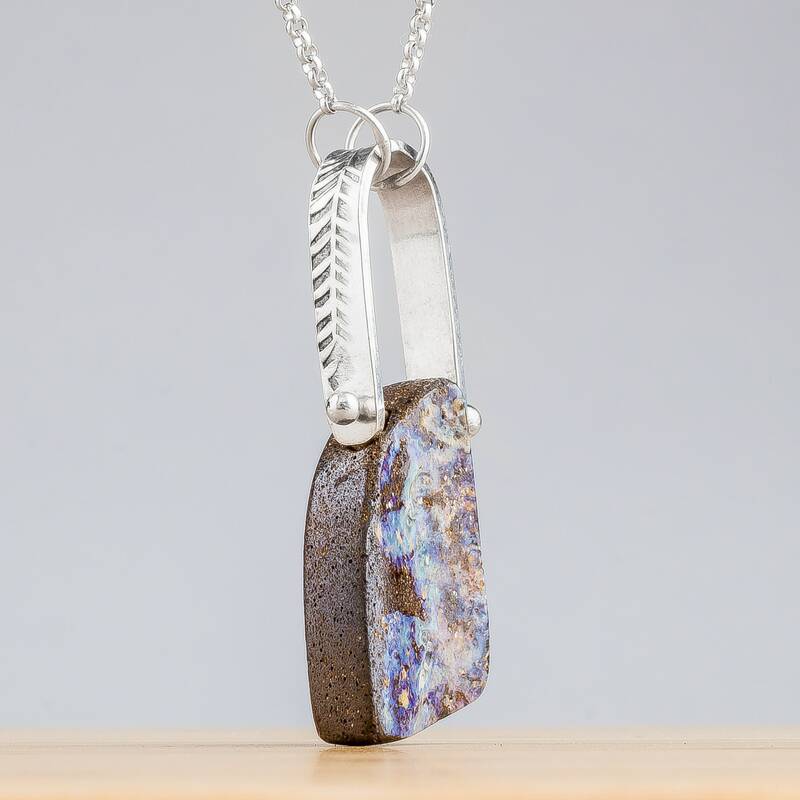 - Necklace is made entirely from solid Sterling Silver and a Boulder Opal.